The Internet of Things promises to make healthcare cheaper and better in a wide variety of ways, but many of the benefits are still stuck in the waiting room. The Internet of Things (IoT) is full of promises to transform everything from transportation to building maintenance to enterprise security. But no field may have more to gain than the healthcare industry. 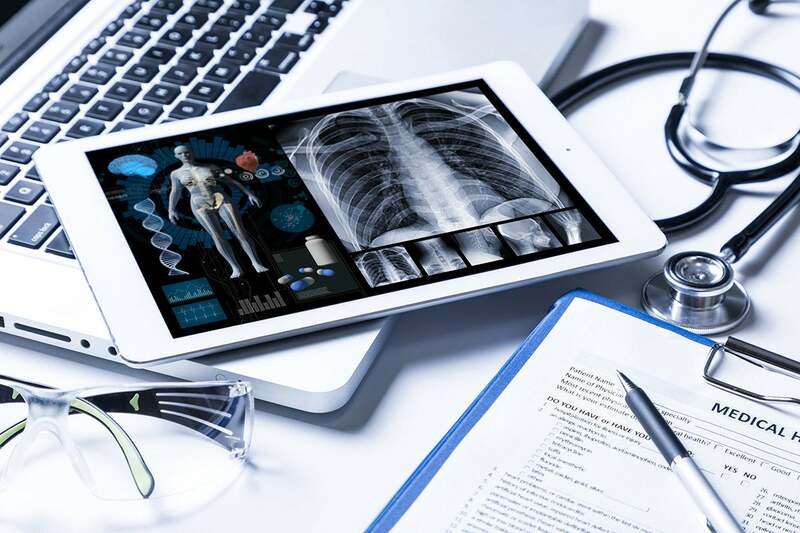 Healthcare providers and device makers are all looking to the IoT to revolutionize the gathering of healthcare data and the delivery of care itself. But while many of those benefits are already becoming reality, others are still on the drawing board. Two very different IoT healthcare stories crossed by desk this month — taken together they provide a surprisingly nuanced picture of healthcare IoT. First, I was excited to hear about the development of advanced prototypes of “smart bandages.” Developed by researchers at Tufts University using flexible electronics, these smart bandages not only monitor the conditions of chronic skin wounds, but they also use a microprocessor to analyze that information to electronically deliver the right drugs to promote healing. 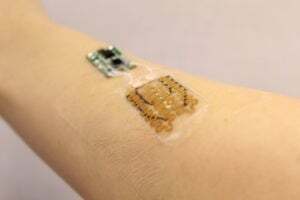 By tracking temperature and pH of chronic skin wounds, the 3mm-thick smart bandages are designed to deliver tailored treatments (typically antibiotics) to help ward off persistent infections and even amputations, which too often result from non-healing wounds associated with burns, diabetes, and other medical conditions. Researchers at Tufts University are developing smart bandages to monitor skin wounds and deliver treatments. It’s unclear if Tufts’ smart bandages will be internet connected, but the potential benefits of an IoT connection here seems obvious. Individual users could have their wounds’ progress monitored more easily, with changes in treatment proscribed as needed, whether or not they’ve been seen by a healthcare provider. Researchers, meanwhile, could gather real-time data on wound healing and the efficacy of various treatments. But while the smart bandages have been tested in the lab, they have yet to undergo clinical trials, and there’s no telling how long it will take for them to reach actual patients, or how much they will cost. While the world waits for smart bandages to show up in the local pharmacy, we’re already able to get medical advice from digital assistants and “smart speakers” such as Amazon Alexa, Google Assistant, and Apple’s Siri. Unfortunately, it turns out that advice isn’t always very good. Worse, the source of that answer can vary widely. If you ask Alexa to search on a health-related question, you’ll likely get an answer from Wikipedia or WebMD. But the authors note that there are also 1,000 health-related skills on Amazon, ranging in quality from “cumbersome at best [to] peddlers of pseudoscience at worst.” Many carry disclaimers that their information is “for entertainment purposes only,” but that’s unlikely to stop people from relying on them for medical advice. OK, so relying on your smart speaker for medical advice probably isn’t a good idea. That seems fairly obvious. But that’s basically what the IoT actually offers right now. And those cool smart bandages? Who knows when they’ll be on store shelves. Unfortunately, that dichotomy could describe the overall state of healthcare IoT: lots of cool stuff in development, but be wary of what’s available now.